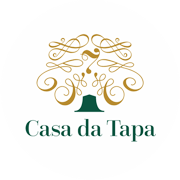 Casa da Tapa 7 has 2 living rooms. A large main lounge with TV and fireplace that comfortably seats 10 persons and a cosier TV and games room also equipped with a wooden stove. Both spaces make the house suitable for large families, groups of friends or social events. The house is filled with character and timeless features, from the pictures in the wall to the hand painted high ceilings and vintage wooden floors.